Friday evening, July 19th, I received a phone call from my daughter Hannah, who lives in Virginia. Her voice was desperate, almost crying. 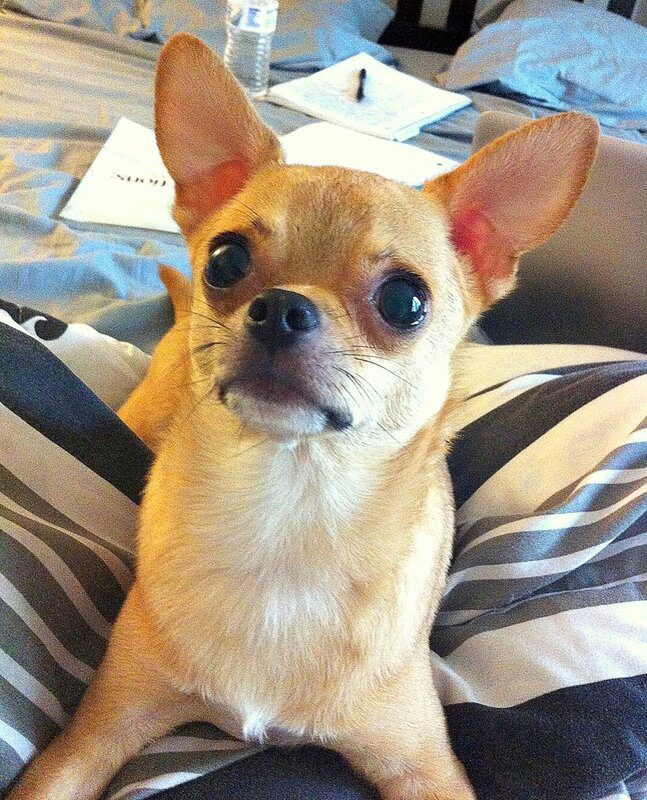 Her two-year old Chihuahua, Riley, her baby, was being rushed to the emergency vet. She told me that Riley was acting like an old man, hardly walking. His eyes were bloodshot and closed probably from pain. He had no appetite. The vet took Riley into the examining room for what seemed an eternity. Hours passed as Hannah and her fiancé waited in torturous anticipation not knowing what was occurring. It was eight o clock. I got on my knees and prayed asking God for a miracle. Finally the vet came out. The prognosis was not good. In reality, they did not know what was wrong with Riley. There was speculation that he had ingested rat poison. The doctor said that it appeared that Riley had been struck with by a car. His blood was not coagulating. The doctor said that Riley was in bad shape and might not make it. My daughter contemplated putting him to sleep. To keep him over night would have cost them $3000.00. They chose to take Riley home. The vet armed them with antibiotics and steroids. The doctors never did found out what was wrong with the dog. I immediately put Riley on our church prayer chain. This is a group of thirty folks who faithfully pray for urgent prayer requests. Then I wrote to a number of faithful friends on Face Book to do the same. In all, fifty people could have prayed for Riley. Saturday morning Riley slept for a long time. When he awoke he ran to Hannah’s kitchen and ate the rice and chicken that the vet had prescribed. By the afternoon his eyes were opened, and most of the red had disappeared. The he played with his toys and even ran to fetch them. My family was amazed knowing that this was the power of prayer. By Sunday afternoon, Riley was one hundred percent normal. When Hannah’s regular vet phoned her very disturbed about the results given to him by the emergency vet, he was surprised, really, amazed. On behalf of the Alvarez family, we would like to thank you all for praying for our baby Riley and to a great God who answers prayer.